90 x 550mg Veg. Caps. 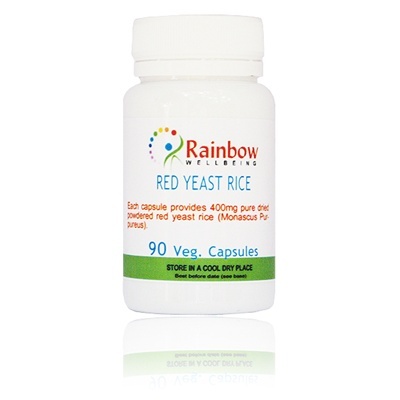 Red yeast rice refers to Monascus purpureus, or rice that has been fermented by the addition of yeast. 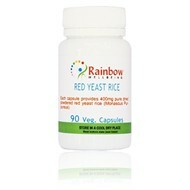 Red yeast rice is incorporated into natural dietary supplements. It contains HMG-CoA (hydroxymethylglutaryl CoA) reductase inhibitors, which are compounds that inhibit an enzymatic reaction necessary to produce cholesterol in the body, especially in the liver. Coronary heart disease (CHD) refers to damage done to the heart when the coronary arteries become blocked or narrowed due to a buildup of plaque or oxidized cholesterol. Even more serious is the occasion when cholesterol buildup breaks off and lodges in the heart or the brain causing heart attack or stroke. Each Vegetable Capsule provides 550mg of 100% high potency pure dried red yeast rice containing 8.8% active ingredient. To control cholesterol take two of our capsules a day with meals and avoid grapefruit, either the fruit or juice, as this will interfere with proper absorption.